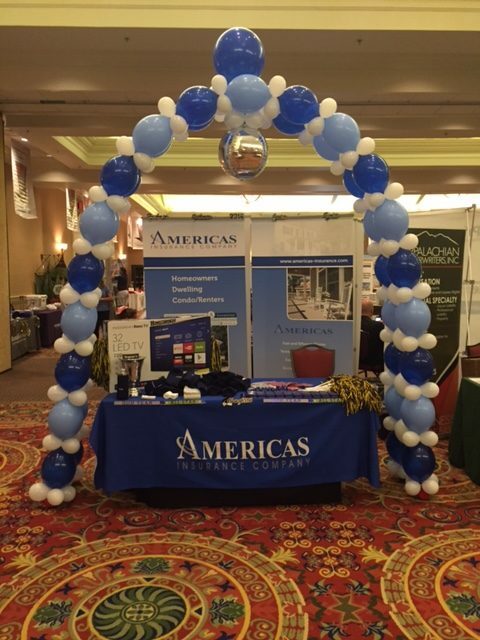 This balloon arch was created for America’s Insurance Company. It was designed to bring attention to their display table. The display was set up in the lobby of the Marriott Grand Hotel in Fairhope. We make balloon decorations for any event including corporate displays such as this.